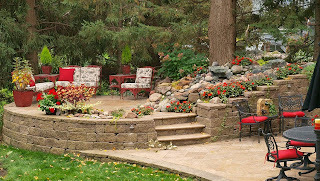 The Allan Block Blog: What Backyard Fits Your Style? What Backyard Fits Your Style? 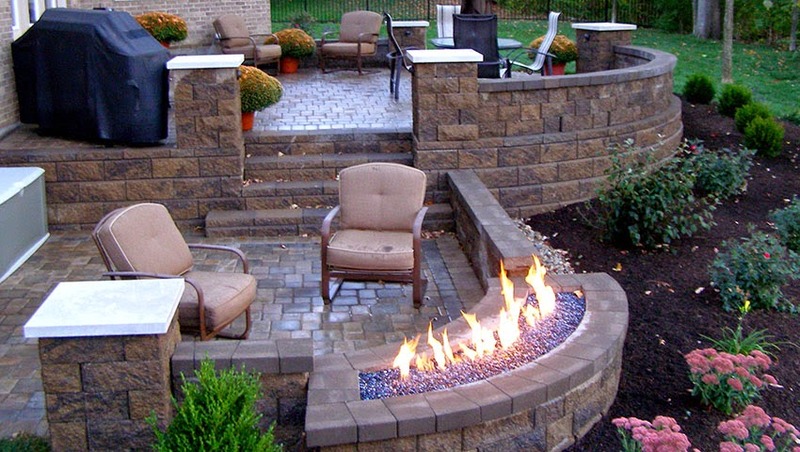 Backyards have expanded from just simple areas with no style or useful spaces to elaborate patios and outdoor rooms that are an extension of the home. 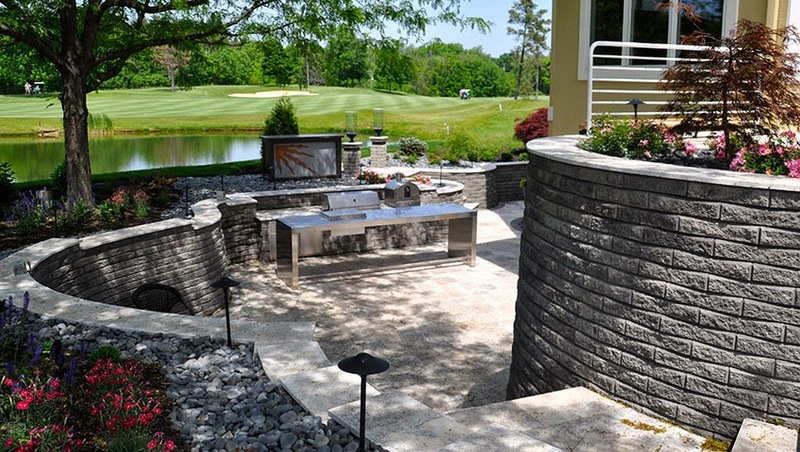 The types of plants, lighting, water features, appliances, hardscape materials and natural stone that is now easily available gives anyone the ability to create outstanding spaces. No longer is the wood deck or concrete patios the mainstay of backyards. Using the wide assortment of available materials one can create patios with paving stones or natural stone in place of that concrete slab if directly on the ground. If above grade, use retaining walls to build up that raised patio then add two sided low patio walls to create outdoor walls in place of that wood deck. These walls work great for built-in seating or plantable areas. 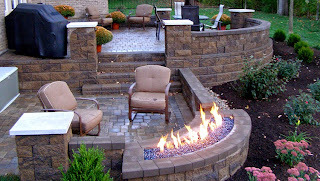 Incorporate lighting for outdoor entertaining within the wall or the paving stones. Then create flowing pathways leading up to the backyard with the same paving stones or natural stone for an inviting feel for your guests. 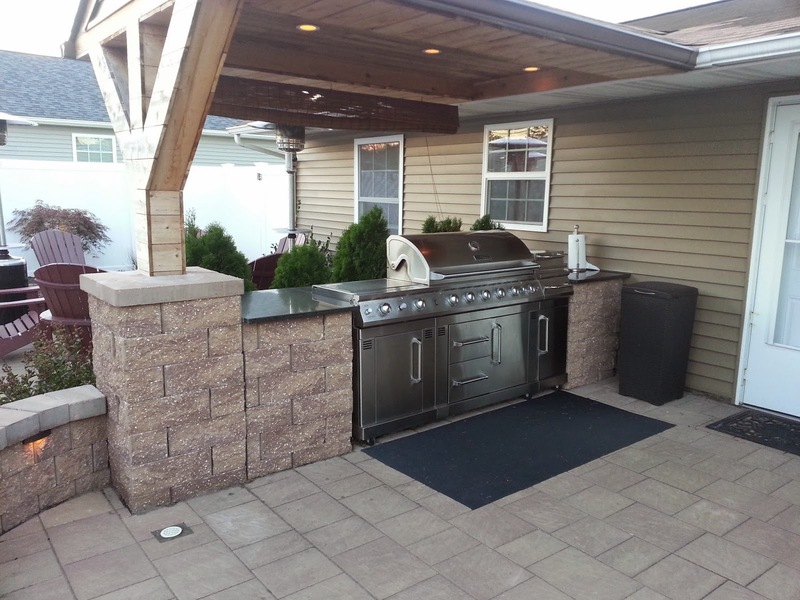 A bigger upgrade is to add in outdoor kitchens, pergolas and fireplaces. With the push to create new outdoor living areas, the comforts of the indoors are moving out as well. The large selection of kitchen appliances that are meant to be used outdoors is vast. Build them right into the materials being used for the patio for a seamless feel to the project. Don’t have room for the full kitchen, add in a bar and seating for the same feel. Incorporate pergolas for shading, custom fireplaces for warm entertaining evenings, the list goes on and on. Using plants and water features to soften landscapes is a beautiful way to bring nature into the backyard. To soften the noise of the outside world, adding the sound of running water with waterfalls or fountains will help bring a relaxing space to your new backyard space. When it’s time to upgrade that backyard area, do some research and see for yourself all the wonderful options that will help you create a backyard to be excited to call your own.